How many members of Kings County can you squeeze into an elevator? As many as you need to when the band is a surprize for the groom from the bride. Some breath-taking scenery from the top floor of the Sheraton Four Points in Long Island City, Queens. 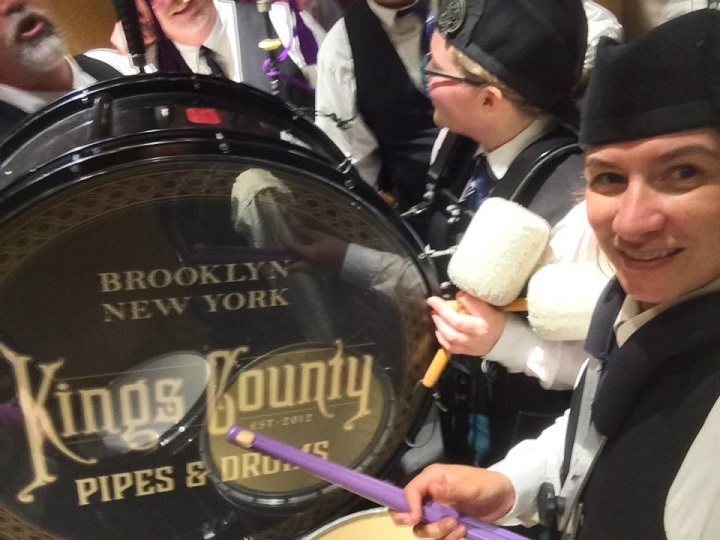 Kings County played the keynote speaker to the stage at a corporate event at the Marriott Marquis in Times Square. June is getting to be a busy month! Our second time marching in the World Famous Coney Island Mermaid Parade was every bit as much fun as the first. 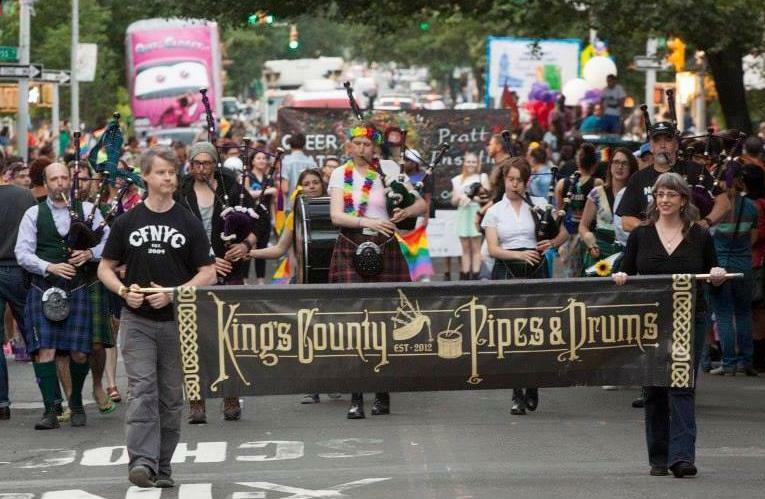 Kings County was honored to march in the Brooklyn Pride Parade. John and Teale played for the yearly Bloomsday pub crawl through Park Slope. 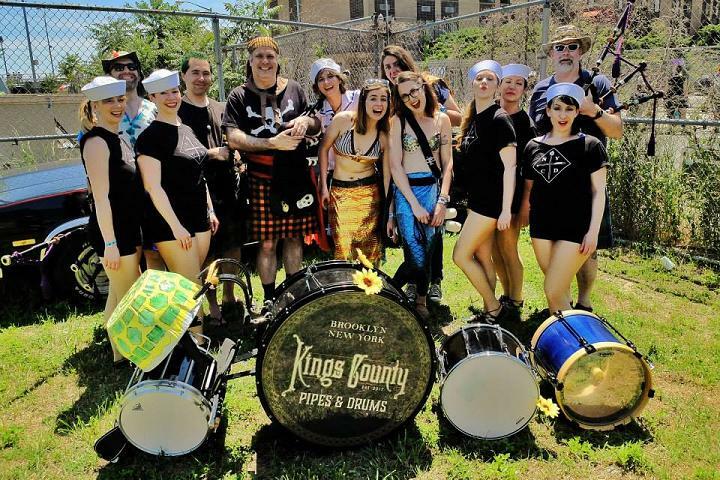 We had a blast playing with Batala NYC in Gowanus. Good AND loud! 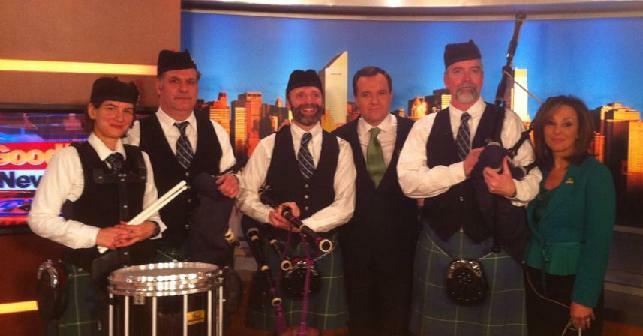 Members of Kings County perform on Fox-5's Good Day New York for St. Patrick's Day. 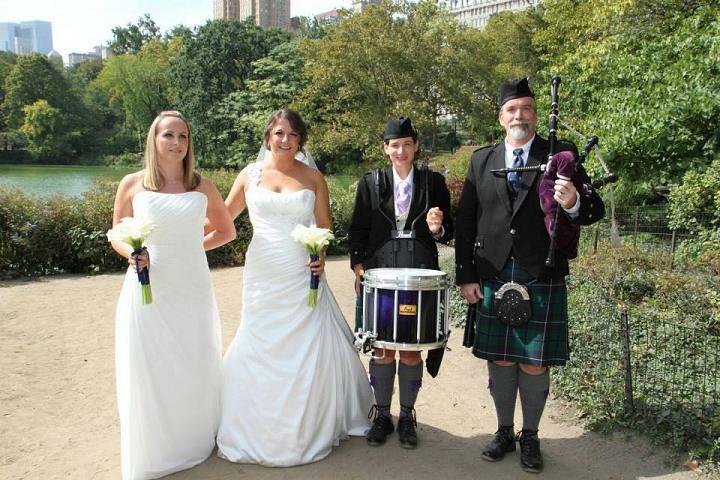 Two lovely ladies from Scotland came to New York City to get married in Central Park. 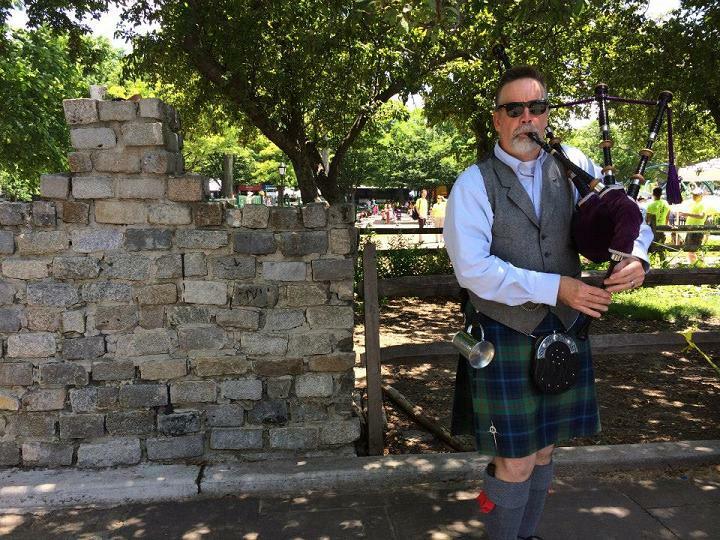 Teale and John provided the music for their special day..
A local pre-school asked us to play for the kids and talk to them about bagpipes and drums. It's never too soon to start recruiting. Our first time marching in the World Famous Coney Island Mermaid Parade. It won't be our last! 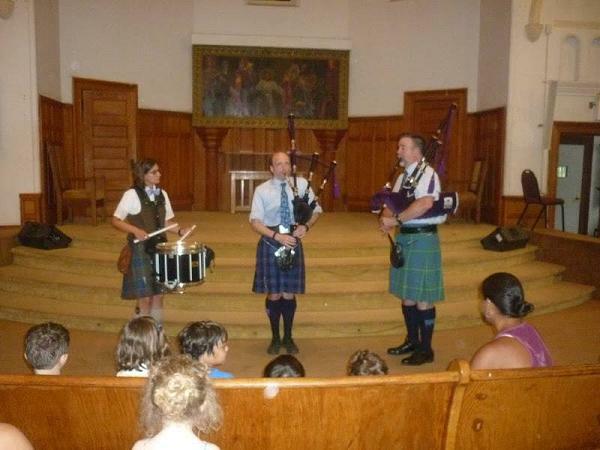 The Kings County Pipes & Drums orginally formed to march in the Park Slope Brooklyn St. Patrick's Day Parade in 2012. We celebrated our first birtday by marching in the 2013 parade. A good time was had by all. Can we get a group of friends together to march the Park Slope parade on a few weeks notice? Yes we can!